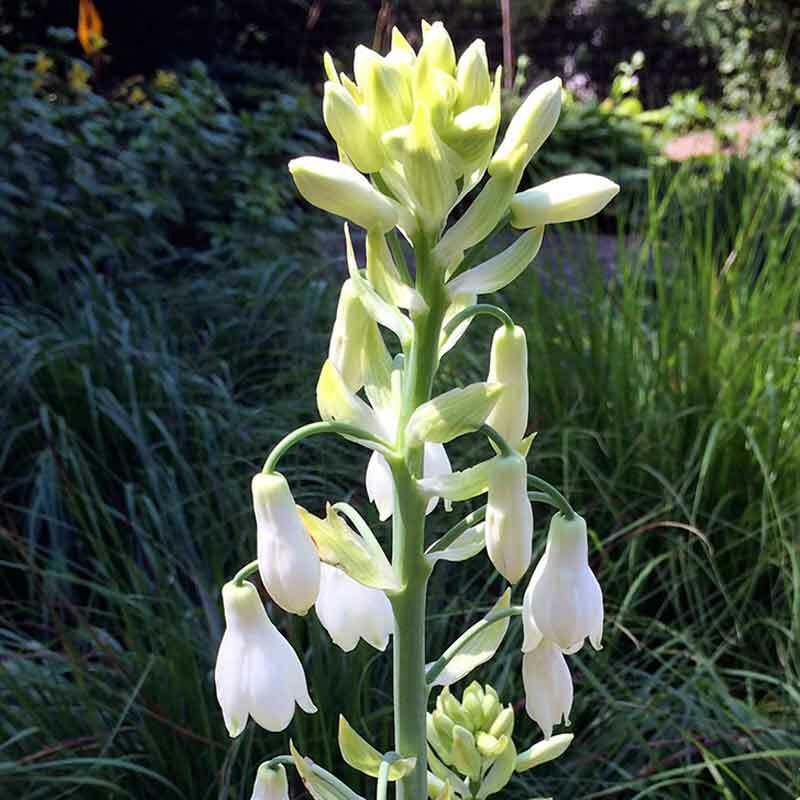 Fragrant white bell flowers bloom in summer. 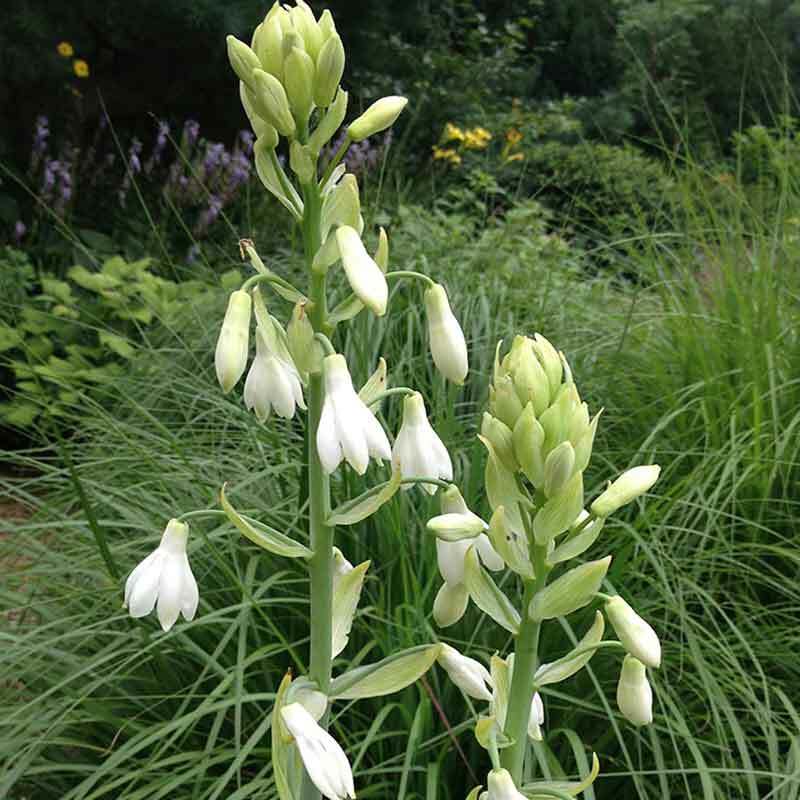 Each bulb produces several flowering stems in succession, and a single plant may flower continuously for up to 6 weeks. Excellent cut flower. Looks great mixed in with grasses, rising above shorter summer perennials, or tucked in containers. Full sun. Good drainage. Height 3-4′. Zones 6-9.